Community Creators is a three part series in which i’ll be talking to three members of the PC gaming community. In this article, I spoke to WartonSomik – a game translator who creates translations in the Czech language. Sometimes, developers fail to translate their game into other languages. Misspelt words, broken grammar and missing punctuation can ruin the experience of a game, especially titles that are story centric. Poor translation jobs in the Czech language is exactly what lead WartonSomik, a Czech Republic citizen and gamer, to fix games translations. I got to talk with him about the process of how and why he translates games. How did you get into game translating? As a teenager, I developed a love to the Life is Strange series. Later on, a prequel to it came out, which was pretty popular in the Czech community, at least in the specific story genre. I wanted to spread it between the ones that don’t understand English at all. Firstly, it was a really amateur job, I just extracted the text files with an extractor made by the russian community, and used already pre-made fonts. Also I was just poorly translating some texts that I saw during my gameplay of the game, so it wasn’t even fully translated. But then my work started to get more and more serious, I was getting some slecial lessons of my language’s grammar, then I got popular enough that professionals teached me how to deal with all the details. I firstly thought that this job is really simple, but now I’m aware of how complicated it actually is. Do you work to a schedule or do you translate in your spare time? I translate in my spare time, yes. This work is really time consuming. Lot of games have many references to quotes, books or movies. I need to search all that and properly study it, so I translate it right. Those books, games or movies also often have official Czech translations, so I need to watch/read their Czech versions and pay attention to their translations of specific things. 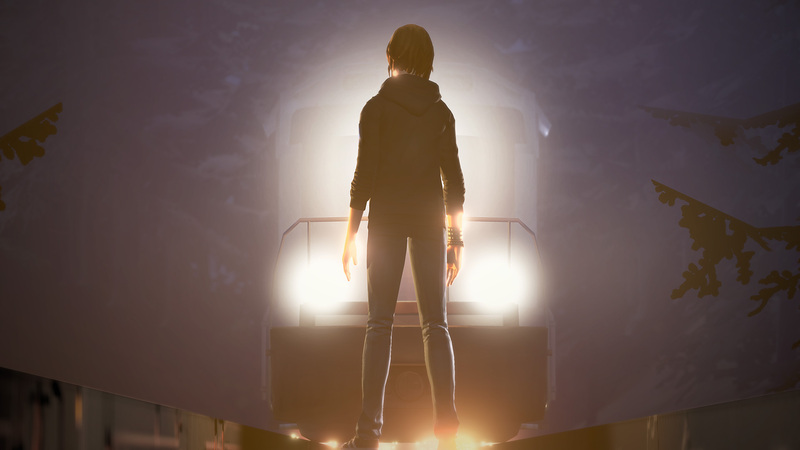 Life is Strange is one of five translations available on the site. Do you have any advice for people looking to translate games? There’s not really any general advice for translators. Every language is different, so every language has own perks, pros or cons. Well, you need to translate properly depending on your language’s grammar, which is an obvious advice. But also, you need to pay extremely lot of attention to details! There aren’t only references that you need to get right, there are also slang words and such. Czech is a really playful language for example. We can easily make new words suitable to the specific translation. How long does it take for you translate a game? Depends on how much text the game has. I’m currently translating a story game with 5 thousand lines per episode. Just one episode for a single person takes months. Even 3 to 6 months. But this can be much faster with more translators, of course. Every translation needs to be corrected and tested, which also takes time. What games do you hope to translate in the future? I don’t really know, that’s hard to say. A lot of game series are already worked on by other translators. I’m just waiting until a new top seller gets released, something unexpected and amazing, that will get attention of many players! WartonSomik’s site is still in early stages, but has already seen some considerable foot traffic. If you’d like to visit his site (which we encourage you to do, it’s really impressive), you can so here.